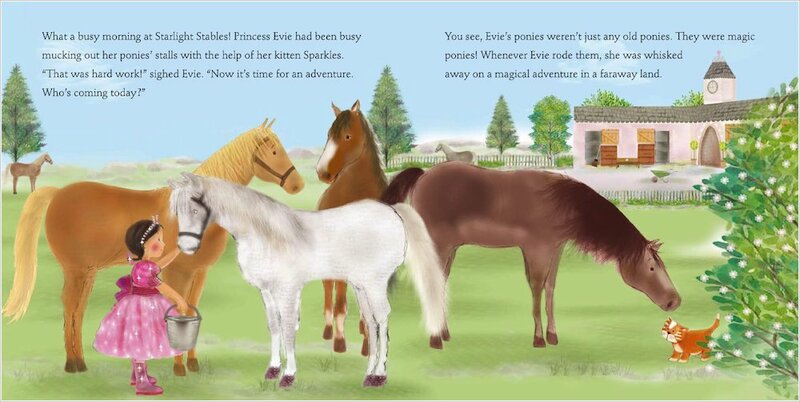 At Starlight Stables, Evie looks after all sorts of magical ponies. 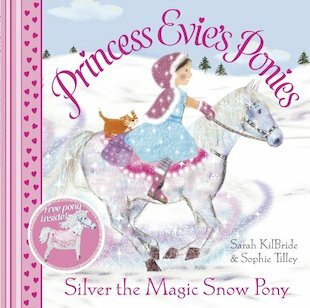 But Silver the beautiful Snow Pony is one of the most enchanting of all! 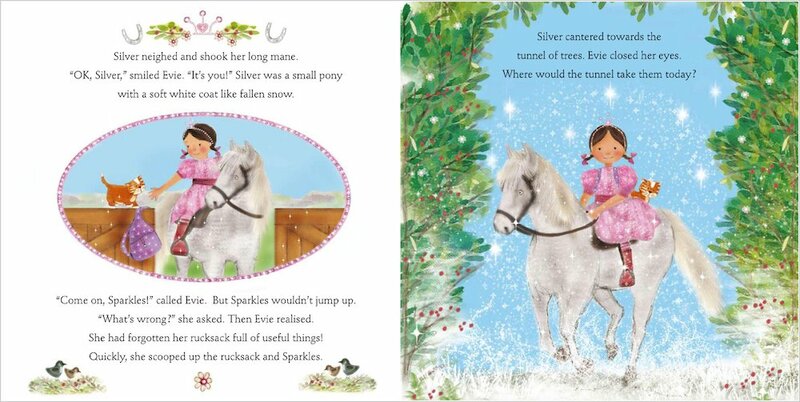 No sooner do Evie and Silver canter through the magical tunnel of trees than they find themselves in a winter wonderland. 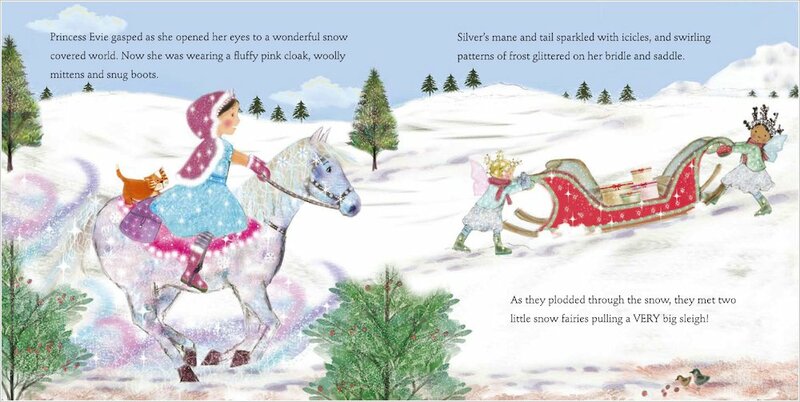 There are snow fairies, a red sled, a fluffy white cloak to wear, and jolly snow songs to sing! But it wouldn’t be a truly magical day without a little polar adventure… A spellbinding winter storybook with a free cardboard pony model inside.